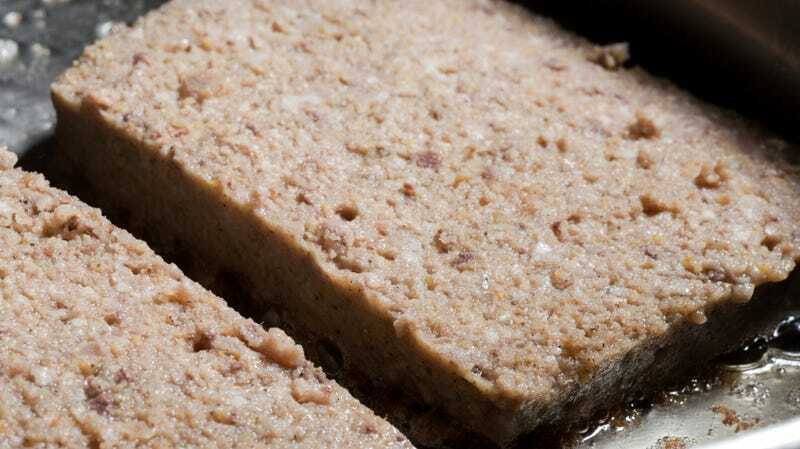 What is scrapple, and how is it usually cooked or prepared? Last summer, five years after moving to New York City, I went looking for scrapple. I don’t mean in the form of an innovative reimagining added to a bougie menu because upscale offal is trendy (although: if you know of an especially worthwhile example of that, please tell me where I can find it). I wanted a block of refrigerated meat mush that could be equally described as “gray” or “brown,” purchased by the pound, and stored in the bottom drawer of my refrigerator for regular consumption. I ended up running through a muggy downpour to The Meat Hook in Williamsburg, where they informed me that while they occasionally stock scrapple, it was a special-order item that they usually produced only upon request. It is objectively fine for any one particular butcher or grocer to not stock an undeniably niche item. But it says something that, unlike almost every other edible item from communities around the globe that is available at speciality stores (if not Whole Foods) in New York City, scrapple has remained charmingly, frustratingly provincial. And what it says is that most people are either unaware of, or, are under-appreciating scrapple. I suppose we should address what scrapple is—although doing so often serves to dissuade people who first encounter it as adults from ever trying what could be their new favorite breakfast meat. My immediate family has only one tradition. Since before I was born, one or both of my parents have gone to the Reading Terminal Market in Philadelphia every single Saturday morning. This started when they lived only blocks away but even after moving across state lines to raise four children in South Jersey, they still fork over the toll fare each weekend to have breakfast and grocery shop at the Terminal. And beginning pretty much immediately after being born, I went to the Terminal with them most Saturdays—from infancy up through attending college in Philadelphia. Every week, I’d see the same vendors—the ones who used to listen to me talk about moving away and now listen to me talk about moving back someday—and eat the same breakfast at the Down Home Diner: two poached eggs on a biscuit with scrapple. We should address what scrapple is—although doing so often serves to dissuade people who first encounter it as adults from ever trying what could be their new favorite breakfast meat. If we were at the Terminal now, I would insist you have a bite before I tell you what it’s made of. But if you must know: Scraps of pork, including offal, are boiled with bones and grains (usually cornmeal) and spices until the mixture has sufficient structural integrity to be formed into a loaf-like shape. Once cooled and solidified, the loaf is sliced and either pan-fried or deep-fried—depending on your kitchen setup and oil-saturation tolerance. It’s peasant food from the Pennsylvania Dutch (and by “Dutch” they mean “Deutch,” and by “Deutch” they mean “German”), representing the sort of old-timey ingenuity that inspired all sorts of culinary genius back when “whole-animal” was a necessity and not a selling point. It’s similar to the Scottish haggis, the livermush of North Carolina, the even-more-localized goetta in Cincinnati, or any other regional manifestation of cheap meat scraps stretched and glued together through the addition of cheaper foodstuffs. There are several ways to consume scrapple—pretty much anything you’d do with a basic breakfast meat applies. For me, that means either adding it to an egg sandwich or dipping it in maple syrup. How you cut and cook the scrapple will impact the final product. Sliced thin and seared in a skillet, it’s got a crunchy crust with just a hint of a creamy middle—like those Voortman wafer cookies. Deep-fry more substantial slices of half an inch or more and you end up with a soft, molten center like an under-baked brownie surrounded by a crispy skin that makes the whole mess reminiscent of pork-flavored fried chicken. But maybe none of this is helping me to explain the appeal. Scrapple is like sausage with more textural intrigue. It’s homogenous but not eerily smooth and over-processed like a hot dog. It’s rich without being unctuous. It’s spiced but not spicy. It has an intense, unplaceable savory quality that only comes from internal organs and yet pairs perfectly with something sweet (while I only ever top it with syrup, some places serve scrapple with applesauce or honey). It tastes like taking a big, indiscriminate bite of everything that goes into a hearty German dinner and just sorta mashing it around in your mouth for a while—but like, in a good way. As scrapple snobs, we buy ours from the various Amish vendors at the Reading Terminal who it make it in-house, but since the point of scrapple is not to be eating especially high-quality meat, I can comfortably endorse either Habbersett or Rapa scrapple—which can be found in the refrigerator aisle of most mid-Atlantic grocery stores. Although I cannot, in good faith, suggest that you venture into various flavored scrapples that I have to assume only exist to attract scrapple-dissenters. Growing up we didn’t go to McDonald’s much. Which means that when I finally became aware of the Egg McMuffin, I initially thought it was strange that they had sandwich so similarly named to my family’s breakfast staple. On Sundays, having procured the ingredients the day before at the Reading Terminal, my dad would make what he called the Egg McBob—no matter that there’s not a Mc-name to be found in my family—which was simply an overeasy egg, American cheese, and scrapple, on an English muffin. It’s still my favorite breakfast.